Get all your music produced, arranged and recorded to a professional quality and performance industry standard. BOP offer a cool creative setting and working environment in an energised studio space, to develop, collaborate and produce music for the Vocalist, Songwriters, Music Production, Arrangements, Original Jazz /RnB Compositions, Theatre and Dance Compositions and so much more. For further information and how BOP Music can assist your creative musical journey ... contact Paul direct. (White Folks - Musical) - Colin Shearman, The Stage. BOP Music Hub ... Lead by Paul Jenkins, offers professional recording studio services, which includes; song writing, music production & composition, arrangement, artist & band development and music production. 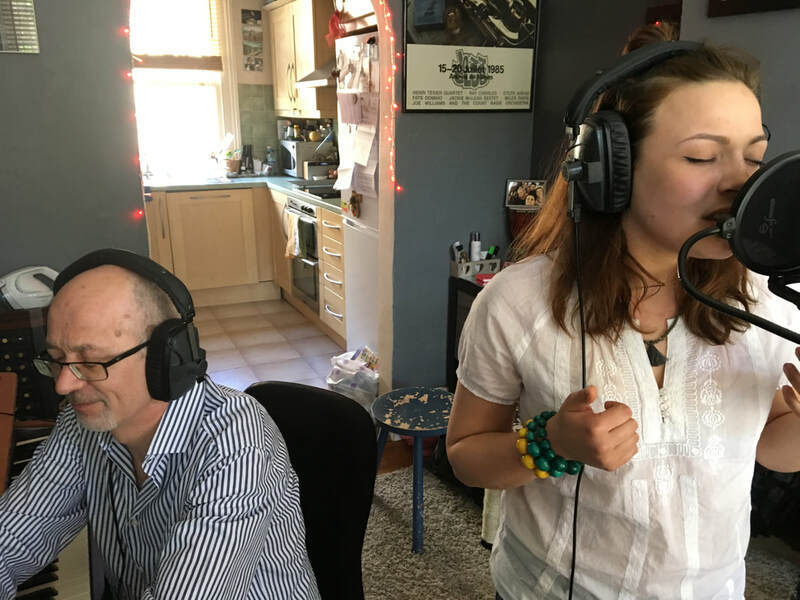 As a Music Producer, Paul provide vocalists, songwriters and jazz musicians, with his wealth of experience and musicianship mentoring and providing a creative and artistic space for recording and performance development. His work as a freelance composer and arranger allows him to cross a wide spectrum of the entertainment industry, working and creating with and for, actors, dancers, choreographers, theatre & Film/TV directors/producers, both here in the UK and internationally. BOP Music specialises in ... Acoustic, Jazz, R&B, Soul, Hip-Hop Fusion and World music genres. Paul also composes orchestral and musical scores, soundscape for Film/TV/Media through to full musical scores, compositions and arrangements for musical theatre, theatre plays and dance theatre productions. Full Music Production & Producing of artists. Let BOP Music create, arrange and record your next track or album or compose original score for your next musical, film or theatre dance production. Please fill in and submit the form below. Thank You!